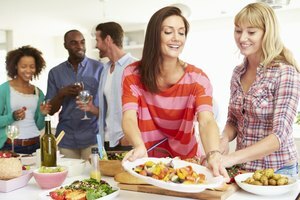 What Food Do You Serve at a Parent-Teacher Meeting? Offer a variety of snacks for the parents. A parent-teacher meeting is a conference between the teacher and the parent. At the meeting, the teacher will inform the parent of the child's progress in school. The teacher might display some of the student's work or projects. The teacher may discuss concerns that he or she has, concerning the child. Sometimes at these meetings, food may be provided by the school or the teacher. Decide how much money and time you have to determine whether the food at your conference should be a light or heavier snack. Consider what the parents at your school will expect. If nearly all the other teachers at your school serves appetizers and heavier meal items, then you may want to do the same. If the majority of the teachers at your school serve light snacks or no snacks at all, opt for a lighter snack. 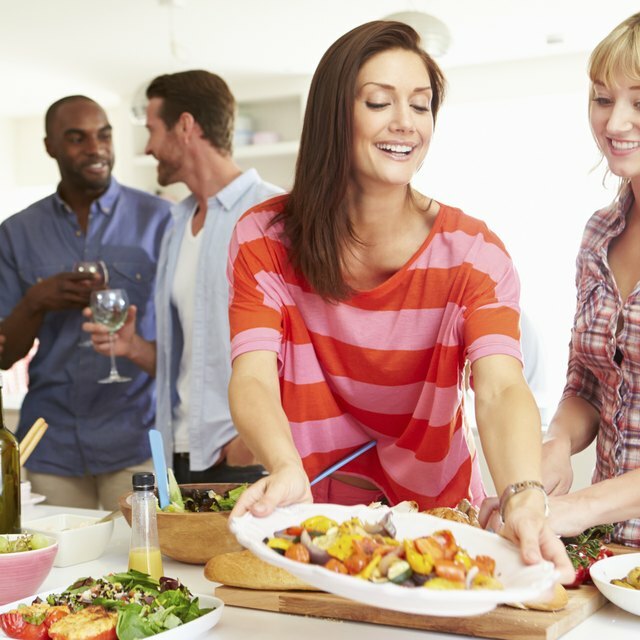 When choosing a heavier snack or appetizer, look for food choices that most of your parents will likely enjoy. Think of popular food choices for people in your area, such as deli sandwiches, pizza, chicken or cheese sticks. Offer a couple of different choices. Lighter snacks can be easy-to-eat finger foods. Consider having a few different varieties, possibly one or two sweeter items, such as cookies or doughnuts, and some salty chips. A vegetable tray may be a good option. Offering a variety of snacks helps ensure you can please all your parents' palates. Call some local restaurants or businesses and tell them about your parent-teacher conference. Ask them if they would be able to prepare some food for your meeting. Ask if they will offer a discount or provide it for free, since it is an official school function. It may be helpful to talk to other teachers or parents at your school about possible donations from local restaurants. Another teacher or parent may know a business that likes to help schools in the area. Offer something for the parents to drink during the parent-teacher conference. Try to have a few different drink types, such as regular soda, diet soda, water and coffee. Offer ice as well. When determining the snacks you are going to provide to parents at your meeting, consider possible food allergies. If you are aware of any food allergies that a parent or child has, do not provide it as one of your snacks. Stay away from foods people are commonly allergic to, such as peanuts and shellfish. David Tyler holds a Bachelor of Science in physical education with a minor in health and safety education from the University of Southern Indiana. Tyler has written for "The Star News" since 2007, specializing in nutrition, physical fitness and wellness. What Do You Get Your Boyfriend After Nine Months of Dating? Tyler, David. "What Food Do You Serve at a Parent-Teacher Meeting?" Synonym, https://classroom.synonym.com/food-do-serve-parentteacher-meeting-8725144.html. Accessed 24 April 2019.